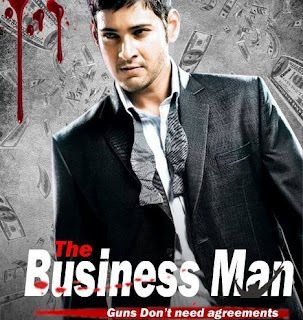 Business Man is an upcoming Tamil/Telugu film co-written and directed by Puri Jagannadh. The film has Mahesh Babu and Kajal Agarwal playing the lead roles. The film started shooting since September 2011. Mahesh for the first time in his career will be lending his voice for a song in this movie. The movie is on track for a simultaneous release in Telugu, Tamil and Malayalam languages. After 74 days of shoot, the filming of the movie was completed on 10th December 2011. Soundtrack of the movie will be released on 22nd December,2011 while the movie will be releasing on 11th January 2012. This movie will be the first direct release in Paris and Japan along with other overseas countries include USA, UK, Dubai, Singapore, Australia, South Africa and more. Business man will also mark as the first Telugu film to be released overseas with English subtitles. The film is being produced by RR Movie Makers and has the caption Guns don’t need agreements. Earlier Shruti Hassan was considered for the female lead, but later Kajal Aggarwal was cast for the role.